The Potterton Promax 33 Plus Combination Boiler boasts excellent flow rates and outputs to suit almost every requirement. These compact, well-mounted boilers are designed to be quick and easy to install in a wide range of homes. 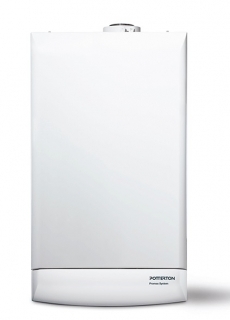 Potterton Promax 33 Plus Combination Boiler other benefits include built in frost protection, flues that can be fitted almost anywhere, an optional wireless room thermostat and a pump that automatically runs every 24 hours to keep itself in prime condition.